Video: Let Your Child Fail. Video: Reading Between The Lines. Article: Should Teachers Be Allowed to Touch Students? Jessica Lahey is an educator, writer, and speaker. Her book, The Gift of Failure: How the Best Parents Learn to Let Go So Their Children Can Succeed (Harper), is a manifesto and action plan, about why parents must learn to refrain from stepping in anytime children experience disappointments and frustrations so they can learn from life’s inevitable mistakes and setbacks and grow up to be successful, resilient, and self-reliant adults. 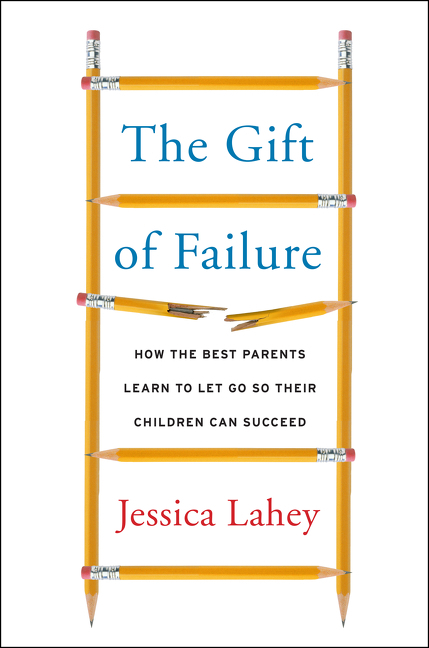 In The Gift of Failure: How the Best Parents Learn to Let Go So Their Children Can Succeed, Lahey explains that although these overprotective and over-involved parents see themselves as being highly responsive to the needs and issues of their children, they aren’t giving them the chance to experience failure and learn to solve their own problems. Lahey highlights that children make mistakes and the educational benefit of suffering consequences is a gift. Providing a path toward solutions, Lahey lays out a blueprint with targeted advice for handling homework, report cards, social dynamics, and sports--but more importantly, she sets forth a plan for what doesn’t come naturally to most of us: stepping back and embracing our children’s failures. Lahey argues that year after year her “best” students -- the ones who are happiest and successful in their lives -- are the students who were held responsible for missteps and challenged to be the best people they could be in the face of their failures. Students need the room to roll with the punches, find their way through the gauntlet of adolescence, and stand firm in the face of the challenges -- challenges that have the power to transform today’s children into resourceful, competent, and confident adults. In addition to a bi-weekly “Parent-Teacher Conference” advice column for the New York Times, Lahey’s work appears regularly in the Atlantic and Vermont Public Radio. She earned her J.D., with a concentration in juvenile and education law, from the University of North Carolina at Chapel Hill. Lahey has been a middle and high school teacher of English, Latin, and Writing for a decade. An avid speaker, she has engaged various audiences with her knowledge and passion on the subject. Lahey has been a popular choice for addressing both independent and public schools, educational and parenting speaker series, camping organizations, coaching organizations, and religious educational organizations. Lahey resides in New Hampshire with her husband and two sons. "It was a perfect evening. Jessica's talk was engaging and spot-on, and the kind of thought-provoking content with which we are hoping to engage our parent and teacher audience. She was generous with her time both before and after the talk, answering questions for folks. She made it a special night for all!" "Jessica spoke to a rapt audience of parents and teachers from our school as well as from the surrounding community. She explained pertinent research in clear and easily understood terms, and dispensed guidance and advice in a supportive and friendly manner. Everyone left with at least one new skill to apply in their classrooms or around the dinner table at homework time. Jessica’s anecdotes about her own experiences as a mother and teacher were not only entertaining; they made us feel that we were benefiting from the wisdom of a trusted friend. 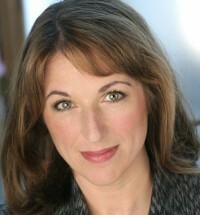 I highly recommend her for your school community, and am looking forward to reading her book!" "Jessica presented to both the parent community at Severn School as well as the Middle School and Upper School students. The information she presented to parents was spot-on and very well received. Her discussion on the differences between intrinsic and extrinsic motivation was a great foundation in which to understand ways parents could support their children to become more independent. She had a very nice way of giving parents 'permission' and reasons grounded in research to 'back off' as their children learn and grow with new responsibilities. Jessica is a speaker who is very relatable and connects easily with her audiences! We were honored to have her speak to our community this fall!" "Jessica's presentation focused on teaching children the intrinsic value of resilience, perseverance and learning from a growth-oriented mindset. In essence, how to foster and promote their success within a supportive framework that discourages parents from over scheduling and hovering. It was a good reminder to us all that it's okay for a child to experience small and reasonable failures. It's all about "the getting up" when you're knocked down. Jess is very articulate and persuasive and she was a joy to work with. I highly recommend her." "Thank you for your talk tonight at the Fay School. It was one of the best I've heard in a long while. I have three children at three different academic levels and abilities. I learned something tonight that I can relate to each child. Parenting, and parenting well, can be so overwhelming at times, so thank you so much for tonight!"